The Orkut link no longer works. Do you have an updated address for the mobile app? is there any mobile browser where you i can open my yahoo mail using my basic phone? mail.yahoo.com works for me in Opera Mini 4 and later. you explained in simple & clear language. THANKS .I would like to suggest to inculde Google’s blogger which is not supported as desktop version on opera mini but supported in chrome,explore,firefox & safari.I use opera mini because it uses data compression which saves 90% data. Add ?desktop=1 directly to the end of the link. Which site is this tip for? Thanks a lot for giving this useful information. Please give for yahoomail and hotmail. I haven’t found any way to force the desktop version of Yahoo Mail in mobile browsers. The mobile one works pretty well, even in Opera Mini. 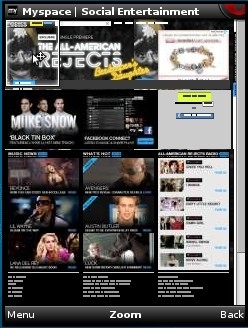 The mobile version of Hotmail has a “PC site” link at the bottom of the page. The PC version loads but is unusable in both Opera Mini and Android Chrome. The mobile version works well in Android Chrome but trying to read an email in Opera Mini results in a blank page. I am not able to open yahoomail on my Nokia N73 for quite a few months now. It seems like something is happening and then it takes me out of internet. But on android I can open my mail at yahoo. What needs to be done on N73? Thanks. Have you tried using Opera Browser or Opera Mini or the Yahoo Java app? If you don’t want to see the images there’s “no images” option in settings. desktop computer and then try logging in again”. I just logged in to Yahoo Mail with Opera Mini for Android and Opera Browser for Android without any problems. Have you tried logging in on a PC like the message says? I send lenhoten a messege.your right he is not responding.. I stoped dream of run linux in symbian. I may start hack symbian one day when i got a computer. thanks all your replay for this subject. I think php proxys are slow.but cgi proxys are fast. I dont know how speed you got in there.here i got 16 kb/s maximum in gprs.so proxys have much speed. Its fast for me while compairing with my internet speed. Iam trying to find a proxy server that will give html page without editing. helo there is good way to do it. Plese choose any proxy service. You can change user agent using that proxy. 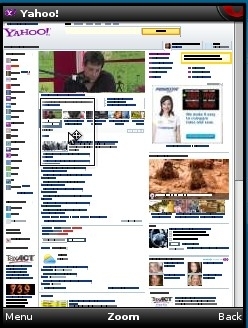 turbohide.com is an example for this . Using a proxy that lets you change your user agent to a desktop one does work with most sites that force you to the mobile version. Is it possible that Yahoo! has made its e-mail page into a “responsive” webpage? This would work based on browser size rather than user agent, making it very difficult for mobile browsers to access the desktop version. With Opera Mini 5 I’ve had no luck. Even after clicking “desktop” at one point, it still went to the crummy mobile page! Bad idea, Yahoo!- you took away one’s ability to choose, and now that one need’s a mobile number, I can’t even contact them for assistance, not even with the ASUS!! mail.yahoo.com is not a responsive site. When you load it in a PC browser and narrow the window the page is truncated on the right rather than reflowing. Bro, how can I view ehow.com pc version on Opera Mini? Seems like a very good website similar to wikihow! opera mini still not working with outlook. It doesn’t look like Microsoft or Opera care about fixing it. What a hell happened to Yahoo Answers (maybe whole Yahoo also)? I used their mobile website half a year ago and could easily sign up by logging in with Gmail. Now nothing works! Tried mobile browser on Nokia N97 MINI, UC browser, Opera Mini, and Opera Mobile. I can’t register for Yahoo Account, can’t view pages properly, can’t sign in using Google…. A real hell. Neither mobile neither desktop version works. It doen’t seem to be possible to force the full version of Way2SMS.com on a non-smartphone browser like Opera Mini or UC Browser. Gumtree full version site not displaying.. Plse help.. Thank u. Try http://www.gumtree.com/?mobile=false or click the “Go to full site link” at the bottom of the mobile page. Dennis…exact same thing that Ted described. it’s all there to use like it always has been. But when I click to delete a message and scroll down to delete it or to delete more than one, it goes through the motions but nothing happens. Same when i try to send an email. I can get to my contacts, click on that and then try to send an email….but nothing opens up for me to send an email. “Click a link or button and the page reloads instead of doing what it’s supposed to” is an old bug that’s been occurring intermittently in Opera Mini for at least five years. ted says: good info, and it shows we’re not crazy! please notify of follow comments i forgot to check that box on first post. in opera mini on my nokia n82, i can’t delete outlook (hotmail) emails, and i also can’t create new messages. i used to be able to, i think. I don’t use Outlook or Hotmail but I have a test account at Outlook.com. I successfully composed and sent an email and deleted an email using both Opera Mini 7.1 for Symbian and Opera Mini 8 for Java. Ted and DeeAnn what exactly happens when you try to create or delete an email? Where and how does it fail? 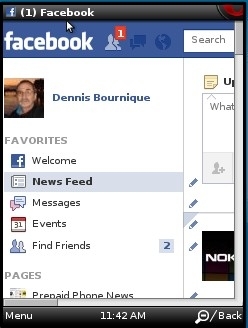 Dennis – if i click the ‘new message’ icon, all that happens is the screen blinks but new message doesn’t open. same thing happens if i click the ‘delete’ box at the top of a list of message or singularly in front of a message: the screen blinks and the check mark disappears, so i can’t finish the delete command. “Am having some strange issues on Outlook.com (formally Hotmail.com) – up until a couple of days ago, everything worked fine. Now when I access the site via Opera Mobile (ver 12.00.2254) on my Symbian phone, I encounter issues such as:- -The new mail button not working, i.e. You click on it + nothing happens -The Refresh button (same issue) -The Reply button (same issue) -The arrow to the right of the message, where you normally access a quick view of your received message, also does nothing. All I can do currently is to read the mails I receive, can’t reply, can’t really do anything with the message. I was running a previous version of Opera + upgraded in the hope that it would solve the issue, but no joy. Have you tried using the built-in Symbian Email App or the Mail For Exchange app? dennis asks: Have you tried using the built-in Symbian Email App or the Mail For Exchange app? ted replies: it’s a non-sequitur. we should be able to use opera mini exclusive of the other programs you mention. opera is a browser, not an email carrier, though it can – and at one point did – function as a means for going into email programs. for some reason outlook isn’t working now. Web designers should be using progressive enhancement principles to create Web apps that work in all browsers on all platforms but that’s harder and more expensive so it tends not to happen. I doubt that Outlook.com product managers consider Opera Mini a supported browser, so Outlook isn’t tested in Opera Mini and reported bugs that only occur in Opera Mini are assigned a low priority and never get fixed. Ted…same thing happens to me too using the LG 900. i used to be able to, then updated to mini opera 7.1, I think it was 7.1, or 7 point something and I lost that feature too. Just got an alert on my phone 4 days ago from net 10 saying mini opera 8 was available for my phone. Was thinking that perhaps the not being able to delete or send an email would be fixed…nope!..Still doing it. I try to use my phones google browser that it came with but it it tells me I don’t have enough data. wished the glitch would get fixed. 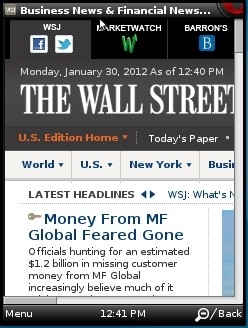 Go http://m.opera.com with the phone’s browser. If that doesn’t work, go to http://boostapps.com/apps/opera-mini-8-with-touchscreen-mod/ with the phone’s browser. If your referencing me being out of the loop…thinking Im not really. I have a Java powered phone..not an Android. According to Net 10 when I called their Tech support, neither of these versions were apparently able to be used on my phone, wasnt supported they said. Off to go ck the single column trick out & see if it works. Want to use Twitter like PC on mobile? Well,dear now you can open the Desktop view for Twitter. Just follow these instructions. Note: Once again, make sure that you have logined to your account. You can’t access Desktop Twitter unless you didn’t log in through mobile. If still don’t understand,or have any problem regarding it. Simple click the following link. Dennis,…..Thats the million dollar question about what browser I previously used. I wanna say it was like 4.2? When I got rhis phone & was going thru the activation process etc, the Net 10 person on the phone gave me the web address for mini opera & the version, but that was about 18 mnths ago. The only reason I even put 7.1 on it was because I got a txt msg from Net 10 to turn off my phone for phone updates & then it also said there was an updated mini opera for my phone. Which was 7.1. The prev browser may even have been 3.4?…or close to that. Been a while & I can’t remember for sure. With the 7.1, things look & behave exactly as before with the exception of Outlook for hotmail. I can no longer delete any emails either one by one or in a group like before. I go thru the motions but they are still there. I just tried deleting emails on outlook.com using Opera Mini 7.1 and it worked. Turn off single column mode if it’s on. You’re really out of the loop, aren’t you? The browser previous to 7.1 was 7.0, and the one before that was 6.5.2. Since updating to mini opera 7.1 on my LG900 g…outlok with hotmail use is huge! Cannot no longer delete any emails either doing so one by one or multiples like I used to. It is virtually useless and Oi cannot seem to find anywhere that addresses this isue or to answer my questions as how to resolve this. Hotmail and Outlook.com haven’t worked well in Opera Mini for over a year. What browser were you using before that worked better? A simple solution would be to go back to whatever worked. Just to let you know that not only have I found the full site address for Google Search, after a little experimentation, I’ve found the full version address for Google Image Search as well. @ Dennis: That’s great, but the link for ‘Image Search’ is leading to the standard search because of the link having had its ending snipped. You need to use the link in the third post, or people will have a job to use advanced image search. I see what you mean. It should be fixed now. Thanks again. You’re welcome. Thanks for repairing the link so quickly, and for considering the results of my efforts worthy of being posted. Thank you for this page. I’m always appalled at the short-sightedness of developers in terms of the the mobile vs full interface issue. It’s refreshing to see someone who designs mobile sites and doesn’t feel the need to build a nanny barrier into it lest baby web surfers hurt themselves. In the past week, yahoo has stopped working almost completely on ipad. It’s not the most empowering of devices at the best of times, but nothing seems to work, regardless of which browser I use. The workaround link is stumped also. Can you please give me a workaround for goodreads.com? When I click on a link for lists it goes to desktop site but for individual novel I can’t get out of mobile view. Please help. I’m not sure what you mean. When you are reading on a book on GoodReads the current page takes up the whole browser window with just a Contents button in the top left. It looks the same to me in Opera Mimi as it does in a desktop browser. Would just like to point out an error. In the address for Yahoo, ‘m=1’ is equivalent to ‘mobile version on’. In order to force the desktop version, it should read ‘m=0’. Assuming the 0 or 1 is supposed to be a boolean you are right. It probablly doesn’t matter any more because since the latest Yahoo redisgn both http://yahoo.com/?m=1 and http://yahoo.com/?m=0 as well as http://www.yahoo.com all bring up the Yahoo desktop homepage in the Android Gongerbread and 4.2 JellyBean browsers. Also since the update, Yahoo.com is badly broken Opera Mini, and nothing seems to work to get the desktop homepage any more.